It is almost two years ago that I met Nils Emmerichs for a lovely interview-picknick at the rhine, to ask him and his former partners Benny Höhne and Jan Kaps about their first curatorial project Format:C. On the occasion of Berlin Art Week, Nils now curated his first show at Autocenter in Berlin with five contemporary positions. 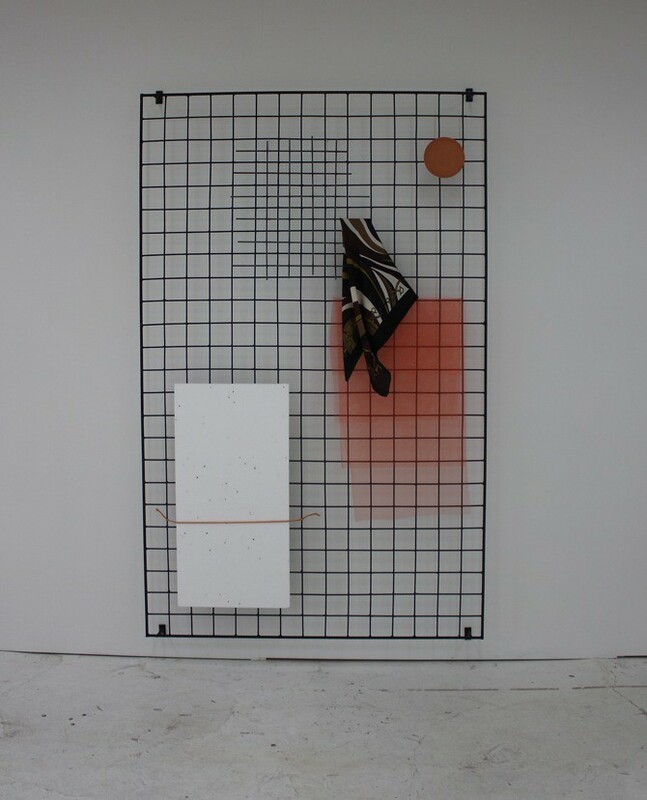 "One From None", an exhibition that celebrates the new puristic minimalism and a state of painterly revolution, includes the artists Chris Succo, David Ostrowski, Eva Berendes, Sam Moyer and Samuel Francois. On this occasion, I talked to Nils about the trends that he observes in contemporary art and how this is reflecting on his show. 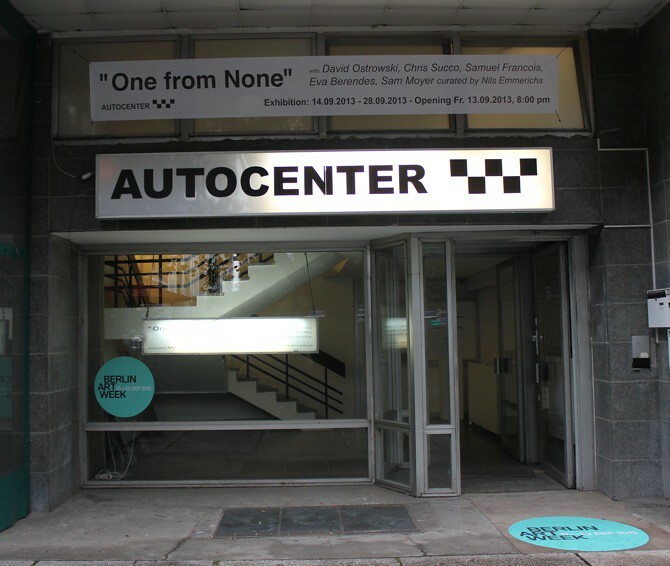 Anna: Nils, how did it happen that the first show you curate in Berlin takes place at Autocenter? Nils: In fact, Chris Succo asked me to do the show in the beginning of this year. By that time I was still working in L.A. and I didn't really know much about the Autocenter at all. I just said yes, under the condition that I could choose the artists. That's simply the reason why I am here. Anna: 'One From None' – is the show about minimalism? Nils: I guess when you look at the works then you would say 'yes'. 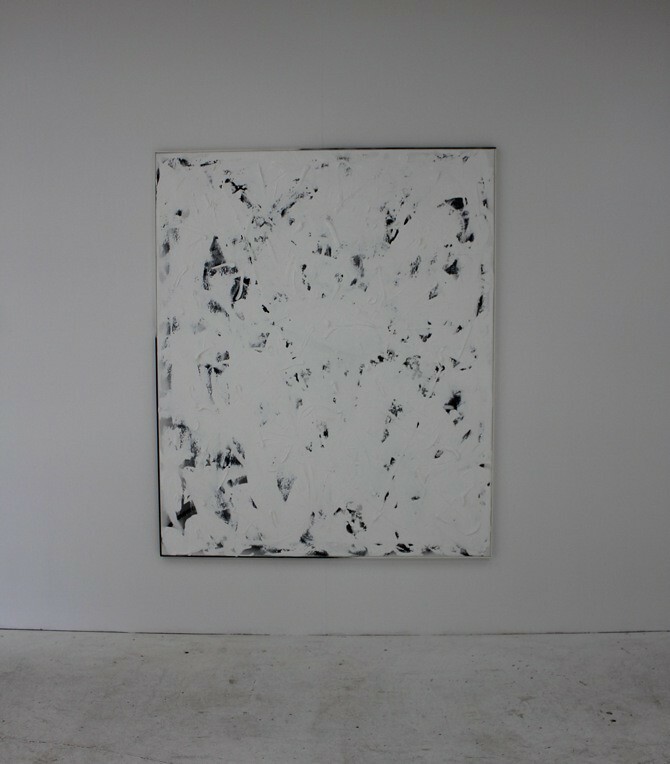 But the topic of this year's Berlin Art Week is 'Painting Forever', so I wanted to show big paintings. It was important to me to introduce young contemporary painters, who can play with the medium and show what painting can be, since it seems to be a little exhausted at this point. All the exhibited artists have a strong signature. The title 'One from None' is actually a great quote by Henry Rollins and for this show it refers to the art loop or the art circuit – we are all One from None. Chris Succo and David Ostrowski are both playing with quotes from pop culture and I wanted to give a hint to the exhibition, but still keep everything open. Also the flyer is pretty minimalist. So to come back to your question: yes, I guess the show is about minimalism. Anna: Is it also about being low-key? Nils: Yes, even though, as you know, I am absolutely not down-to-earth. 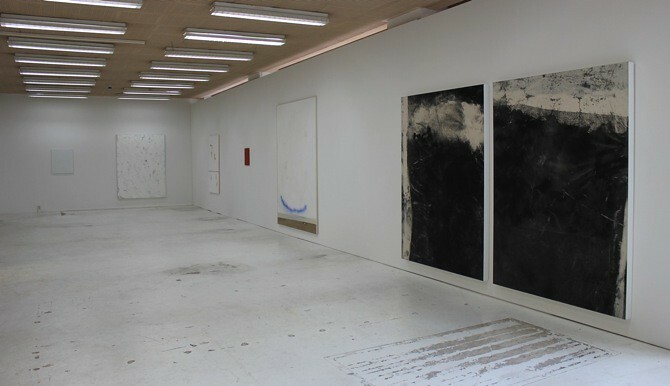 I still want to have a gallery in Saint Tropez. 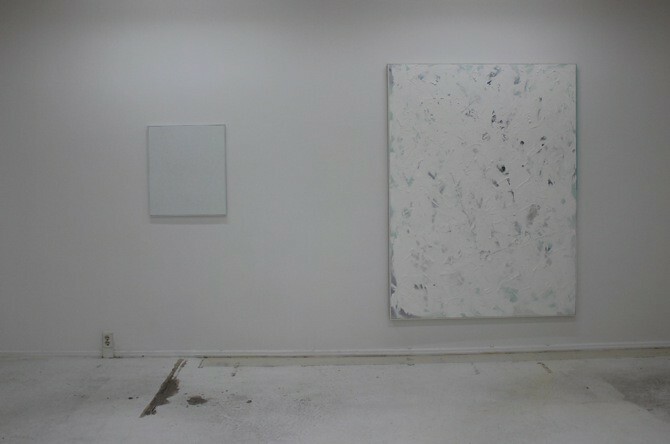 Anyway, I think the show is about reduction, but if you look into the works, it is quite a big thing. 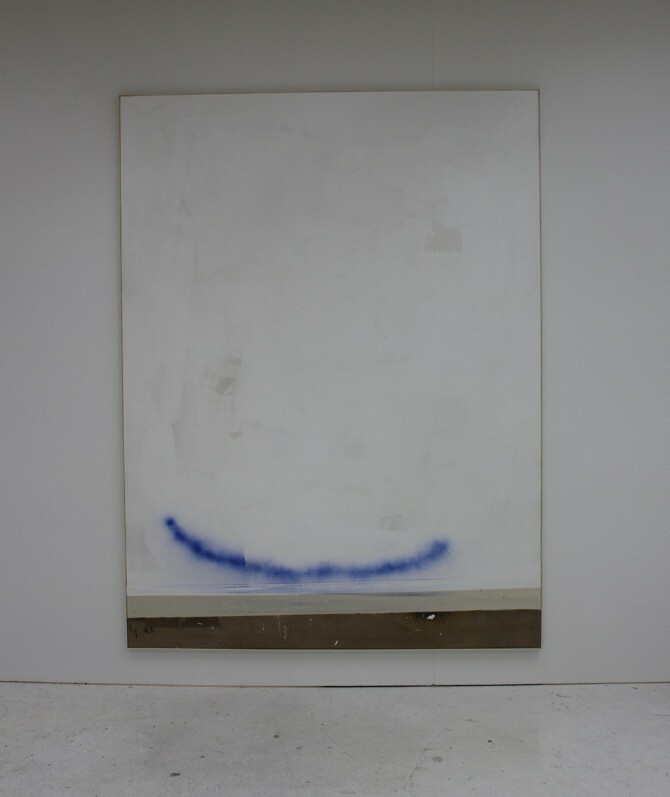 Each work has a right to exists in terms of how they play with minimalism and reduction, and also how they are able to release painting. 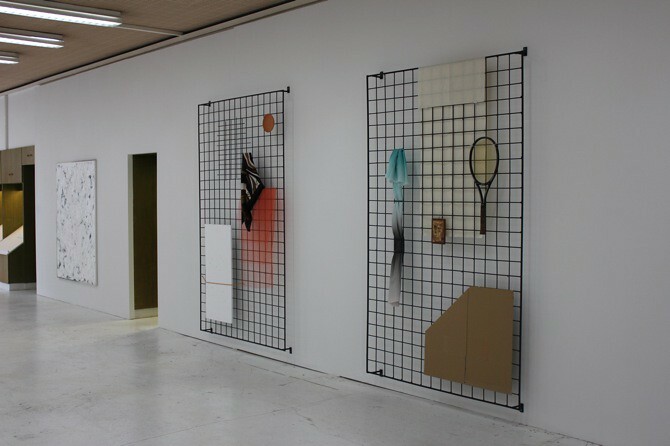 Even Eva Berendes, who shows her wall sculptures, is very puristic and formulates an extremely aesthetic composition. 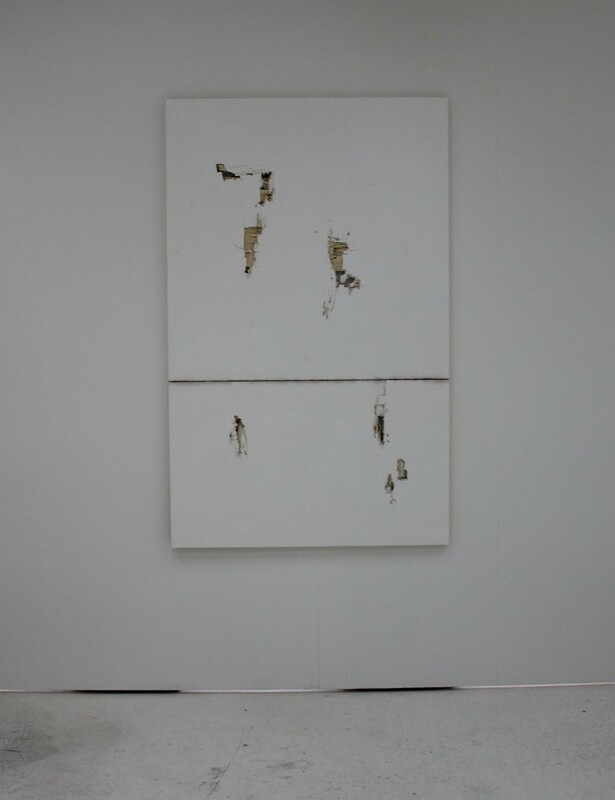 Anna: At the same time, Samuel Francois and David Ostrowski play with the destruction of canvases and turn this demolition into an aesthetic work. Nils: Exactly. I recently read that contemporary painting is very affected by punk. This impulse of going through the canvas, which is continuously quoted right now. Painting a picture is comparable to a fight that the artist has with the canvas. 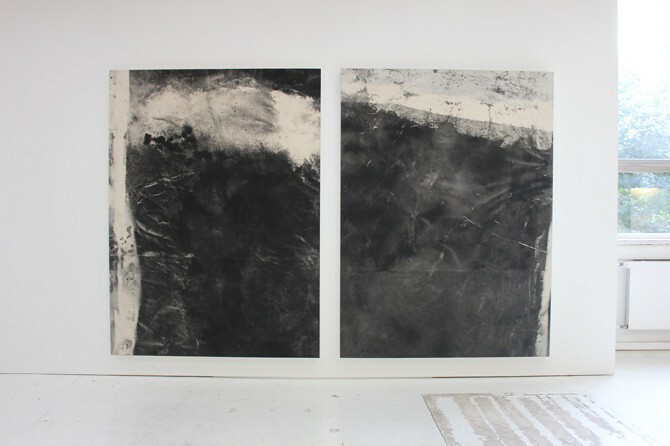 Also Sam Moyer and Chris Succo penetrate their works – they beat it, scratch it, stuff things inside. David has people walk over his canvases. So, I believe the destruction of the familiar is necessary in order to create something new afterwards, to generate a substrate. The question is: how far can art go? Anna: The positions that you chose for the show are all very clean and minimalist, which is appealing and beautiful. Would you say that you excluded a disturbing factor? Nils: I don't hope so. The focus is certainly directed on the essential. Artists can only paint what they see in their visual understanding. All of them use reduction to search for the expression of beauty. I believe that is much harder than using representational forms. We live in a time where everybody quotes and uses a collage techniques. That's why it was important to me to show artists who are able to do this. Anna: All of the artists work in different cities. Berlin, USA, France and of course Cologne and Düsseldorf. Is it also your intention to introduce some artists from west Germany to Berlin? Nils: Of course! 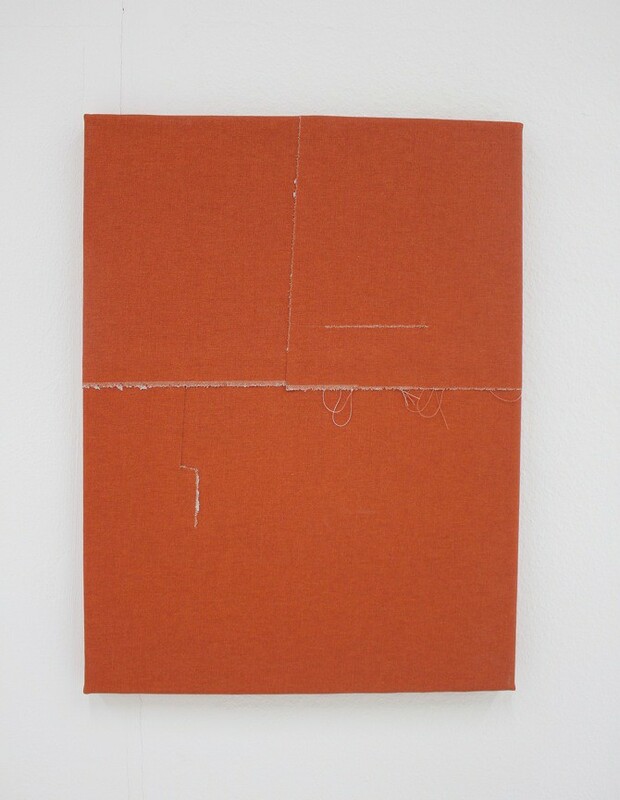 Initially, I only wanted to show Düsseldorf-based artists. Nils: Yeah! This area, meaning Cologne and Düsseldorf, is so strong. And obviously I wanted to show artists who could back me up. I really appreciate each of the artists and their works. So I only chose art works that I personally enjoy to look at.